A long dry summer finally succumbed to the cold wet chill of October. It was the first day in months where the skies brimmed with thunder, lightening and rain. A large clap boomed across the sky just before the torrent fell. I was swollen and stiff, the first intense flare to invade my body in months. I was slow to rise and heavy with inflammation due to a sharp shift of pressure, but I barely noticed the pain. I was invigorated and content despite my sore lumbering body. I smiled at the irony – it was October 12th, World Arthritis Day. I also smiled because on this day, a new publication had entered the world. At the beginning of the year, I got involved in a book project with a group of writers. 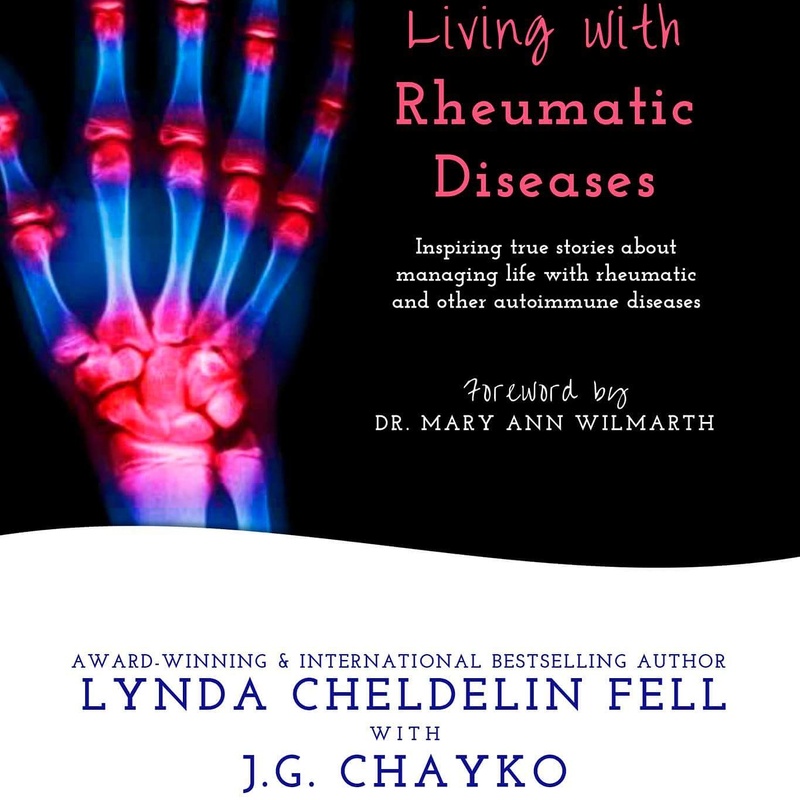 This book was less about the writing and more about sharing stories and experiences in the world of rheumatic disease. No matter what illness you fight, we all face the same challenges, and by sharing our experience we can connect with others in our community and find encouragement and strength. Chronic illness is life changing and it can be comforting and a source of inspiration to learn how others manage their disease. The writers in this book come from all walks of life – working professionals, mothers, aunts, sisters, artists – you would never see the disease we battle by looking at any one of us. Rheumatic disease is usually hidden from the eyes. We look healthy. We look able, but beneath the skin an epic battle is raging against systems in our body. The only way one could possibly know the challenges we face is by reading our stories. Rheumatic disease encompasses a wide variety of conditions – rheumatoid arthritis, psoriatic arthritis, polymyalgia rheumatica, lupus – to name just a few. Chronic disease is inevitable in our world. It can strike at any time in people of all ages and gender. It can change lives and disrupt our plans. This is the dark side of the chronic illness coin – the light side can offer a different story. 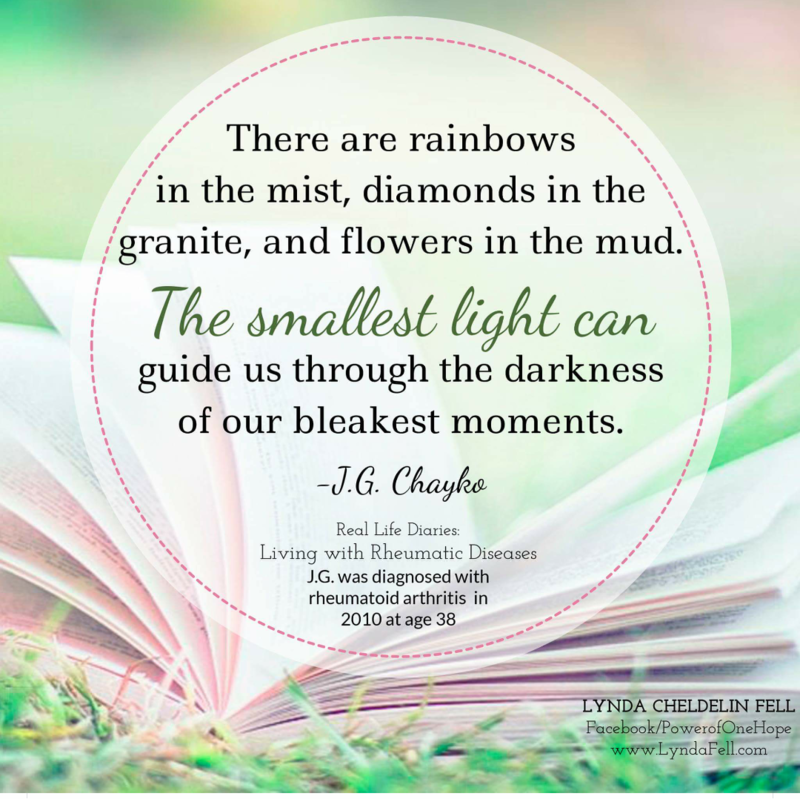 Dealing with a chronic condition forces us to look at our life from a different perspective. It compels us to find new paths to the life we want and take chances. It’s a potent reminder that we really don’t have all the time in the world to follow our dreams. It teaches us to live in the moment and appreciate all the astonishing minute details that are always overlooked in our hectic world. It’s an unfathomable idea to be grateful for having a disease – but it made me kick open the door at the end of a long dark corridor and discover a world of possibility. Many thanks to Lynda Cheldelin Fell, Brenda Kleinsasser and Layne Martin. Here’s to all the brave writers who bared their soul. I look forward to reading about each of your journeys.